Tree surgery is one of the most dangerous occupations in the UK. With so many companies around now that offer tree surgery and tree services at a variety of prices and standards, it is hard to know who to trust when it comes to managing, caring for and safely removing your trees. M.Large have the experience, skills and specialised equipment to cover all aspects of the work from ‘enquiry to completion’. M Large Tree Services Ltd was founded in 1970 by its Managing Director, Michael Large. 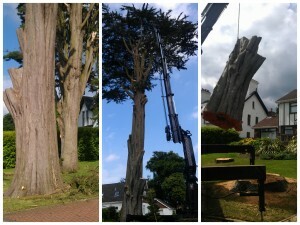 and is now one of the longest established and most reputable tree surgery and tree work companies in the UK. The company has a highly successful track record in providing tree surgery and in providing Arboricultural Consultancy to many of the commercial, local authority and governmental clients in Northern Ireland. A core part of working on such large scale contracts and requirements is the need for extensive insurances to protect workers, the public and the site. As such the company takes its responsibilities seriously and maintains around £20 million in insurance cover for when it might be needed. M.Large always adopt best working and safety practices and strive to keep abreast of new developments in working methods to minimise duration, disturbance and any resources needed to complete projects and jobs safely and efficiently. It is this innovative and progressive mindset that sees the company thrive and develop year on year and also led to our own in-house equipment development brand LMS Design being launched. LMS Design products feature on our Machinery Sales section. M.Large has invested in a wide range of modern tree and groundworks plant machinery and have access to a vast selection of tools and equipment required to service all client‚ Arboricultural/Tree works. We utilise our equipment fleet to care for the site and leverage efficiencies over traditional methods with a view to ensuring costs are moderated for the client. Use of Hydraulic tree shears for sectioning and removal of trees. Rapid site clearance. This attention to detail and progressive outlook has ensured that M.Large are now a recognised authority in the Northern Ireland tree surgery and tree care sector. Our reputation has grown over the years, and our clients are assured of appropriate planning, professional execution, and solid aftercare in even the smallest jobs. This is a reflection of our quality of service. We believe that the combination of our formal training and skills, our wealth of experience and extensive in house resources is the most successful way to provide tree care solutions and the most effective in ensuring customer satisfaction. Planning & establishing woodland, mostly hardwood in urban situations e.g. community woodlands. Arboricultural contracting including tree surgery, pruning, felling and stump removal. Landscape & grounds maintenance contracting, including the establishment and maintenance of public woodlands and parks, the creation of pond and wildlife habitat. From time to time emergency tree removal service is required when your property has suffered sudden storm or accident damage. Wind, snow, ice, and other severe weather conditions can quickly de-stabilise and cause extreme damage to trees and subsequently, property. M.Large’s teams are expertly-trained to work in the most hazardous conditions to prevent and minimise any damage and stablise the affected areas, should the worst happen. Hundreds of customers have relied upon our experience and expertise for over 30 years to provide professional emergency response services. EMERGENCY TREE REMOVAL SERVICE IS REQUIRED WHEN YOUR PROPERTY HAS SUSTAINED SUDDEN STORM OR ACCIDENT DAMAGE. To ensure that tree felling is carried out for the right reasons, it is subject to two main pieces of legislation which act as a control and check on most tree felling operations. 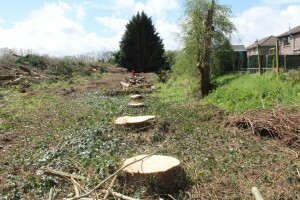 Northern Ireland Tree Preservation Orders (TPOs) are used by the local Borough or District Council to safeguard landscape and amenity. They can be applied to woodlands as well as to single trees or groups of trees. They can cover trees of any size. 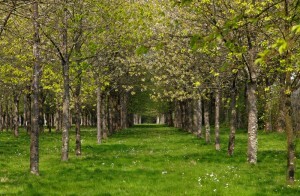 Permission must be sought to carry out any type work on the trees. Even building work near protected trees which may cause a significant impact on their health will need permission. To find out whether particular trees or woodlands are protected by a Tree Preservation Order contact your local Northern Ireland Tree Officer. More details on TPOs can be found in the government publication Protected Trees: A Guide to Tree Preservation Procedures. Our resident expert arboriculturalist is well versed and experienced in all applicable Northern Ireland Tree legislation and is ideally placed to offer advice relating to TPO‚ and other relevant legislative areas. As a core part of our quality standards and management objectives, we at M.Large would aim to adhere to all relevant legislation, codes of practice (COP) and British standards. In particular we would aim to be conversant with all Northern Ireland Orders and interpretations of current legislation and comply with all other regulations / codes of practice relating to Health and Safety and the like. A full listing of legislation which we adhere and comply with is available at our office on request. M.Large are committed to delivering outstanding customer satisfaction in Northern Ireland tree related services. We monitor our performance and gather feedback continually and strive to develop our services to meet and exceed our customers’ needs and expectations. We are certain that when you experience our professional and efficient service it will encourage you to use us year after year. We hope that you will also recommend us to friends and neighbours. If at any time you have queries or concerns, our friendly staff will be happy to assist. If for any reason you feel that the work and services we provide do not meet your needs, please let us know as we may use this feedback to develop and improve where appropriate and necessary. In the same vein, if you approve of the work and manner in which we provide it and you feel we are doing something well, then please feel free to let us know through the feedback and testimonials section of this website. Contact us for a free, no obligation estimate for any tree surgery, tree removal or other tree services you think we can help with.